The new Chevrolet Colorado is living proof that big things come in small packages. This midsized truck boasts two engines that completely outdo the competition. The 3.6L V6 engine offers best-in-class 308-hp performance, while the Duramax® 2.8L Turbo-Diesel offers a best-in-class maximum towing capacity of 7,700 pounds. No matter which you choose, you’ll get performance that’s the envy of every other truck in its segment. We offer a rotating selection of new vehicle specials to save you money, and our flexible financing options make it easy to get pre-approved. So contact us online, and schedule a test drive today! FUEL EFFICIENT 24 MPG Hwy/19 MPG City! Back-Up Camera, AUDIO SYSTEM, CHEVROLET INFOTAINMENT.. ENGINE, 2.5L I4, DI, DOHC, VVT, 4x4. 4WD Work Truck trim, PACIFIC BLUE METALLIC exterior and JET BLACK / DARK ASH interior. CLICK ME! KEY FEATURES INCLUDE 4x4, Back-Up Camera. Electronic Stability Control, Bucket Seats, 4-Wheel ABS, 4-Wheel Disc Brakes, Tire Pressure Monitoring System. OPTION PACKAGES WT CONVENIENCE PACKAGE includes (ATG) Remote Keyless Entry, (UTJ) theft-deterrent system, (K34) electronic cruise control and (PPA) EZ-Lift tailgate, AUDIO SYSTEM, CHEVROLET INFOTAINMENT 3 SYSTEM 7 diagonal color touchscreen, AM/FM stereo. Additional features for compatible phones include: Bluetooth audio streaming for 2 active devices, voice command pass-through to phone, Apple CarPlay and Android Auto capable (STD), TRANSMISSION, 6-SPEED AUTOMATIC, HMD, 6L50 (STD), ENGINE, 2.5L I4, DI, DOHC, VVT (200 hp [149.0 kW] @ 6300 rpm, 191 lb-ft of torque [259 N-m] @ 4400 rpm) (STD). Chevrolet 4WD Work Truck with PACIFIC BLUE METALLIC exterior and JET BLACK / DARK ASH interior features a 4 Cylinder Engine with 200 HP at 6300 RPM*. EXPERTS CONCLUDE Great Gas Mileage: 24 MPG Hwy. WHO WE ARE Chevrolet Buick GMC of Fairbanks sells new, certified pre-owned and used cars, trucks and SUVs in Fairbanks, Alaska. We offer financing options and incentives for all North Star Borough Chevrolet, Buick and GMC customers. Our inventory includes the popular Chevy Malibu, the versatile Chevy Traverse and the powerful Chevy Silverado pickup truck. Consider the all new Buick Verano or the GMC Sierra. Schedule a test drive at Chevrolet Buick GMC of Fairbanks today! Plus tax, title and license. Prices include $200 dealer doc fee. See dealer for Stock Numbers. Price contains all applicable dealer incentives and non-limited factory rebates. You may qualify for additional rebates; see dealer for details. 4WD Work Truck trim, CRUSH exterior and JET BLACK / DARK ASH interior. Back-Up Camera, AUDIO SYSTEM, CHEVROLET INFOTAINMENT.. ENGINE, 2.5L I4, DI, DOHC, VVT, TRANSMISSION, 6-SPEED AUTOMATIC, HMD... EPA 24 MPG Hwy/19 MPG City! CLICK ME! KEY FEATURES INCLUDE 4x4, Back-Up Camera. Electronic Stability Control, Bucket Seats, 4-Wheel ABS, 4-Wheel Disc Brakes, Tire Pressure Monitoring System. OPTION PACKAGES WT CONVENIENCE PACKAGE includes (ATG) Remote Keyless Entry, (UTJ) theft-deterrent system, (K34) electronic cruise control and (PPA) EZ-Lift tailgate, AUDIO SYSTEM, CHEVROLET INFOTAINMENT 3 SYSTEM 7 diagonal color touchscreen, AM/FM stereo. Additional features for compatible phones include: Bluetooth audio streaming for 2 active devices, voice command pass-through to phone, Apple CarPlay and Android Auto capable (STD), TRANSMISSION, 6-SPEED AUTOMATIC, HMD, 6L50 (STD), ENGINE, 2.5L I4, DI, DOHC, VVT (200 hp [149.0 kW] @ 6300 rpm, 191 lb-ft of torque [259 N-m] @ 4400 rpm) (STD). Chevrolet 4WD Work Truck with CRUSH exterior and JET BLACK / DARK ASH interior features a 4 Cylinder Engine with 200 HP at 6300 RPM*. EXPERTS ARE SAYING newCarTestDrive.com explains Every Colorado feels well-assembled Great Gas Mileage: 24 MPG Hwy. BUY FROM AN AWARD WINNING DEALER Chevrolet Buick GMC of Fairbanks sells new, certified pre-owned and used cars, trucks and SUVs in Fairbanks, Alaska. We offer financing options and incentives for all North Star Borough Chevrolet, Buick and GMC customers. Our inventory includes the popular Chevy Malibu, the versatile Chevy Traverse and the powerful Chevy Silverado pickup truck. Consider the all new Buick Verano or the GMC Sierra. Schedule a test drive at Chevrolet Buick GMC of Fairbanks today! Plus tax, title and license. Prices include $200 dealer doc fee. See dealer for Stock Numbers. Price contains all applicable dealer incentives and non-limited factory rebates. You may qualify for additional rebates; see dealer for details. 4WD Work Truck trim, SATIN STEEL GRAY METALLIC exterior and JET BLACK / DARK ASH interior. EPA 24 MPG Hwy/17 MPG City! Trailer Hitch, 4x4, Back-Up Camera, ENGINE, 3.6L DI DOHC V6 VVT, AUDIO SYSTEM, CHEVROLET INFOTAINMENT.. READ MORE! KEY FEATURES INCLUDE 4x4, Back-Up Camera Electronic Stability Control, Bucket Seats, 4-Wheel ABS, 4-Wheel Disc Brakes, Tire Pressure Monitoring System. OPTION PACKAGES WT CONVENIENCE PACKAGE includes (ATG) Remote Keyless Entry, (UTJ) theft-deterrent system, (K34) electronic cruise control and (PPA) EZ-Lift tailgate, WORK TRUCK APPEARANCE PACKAGE includes (RS1) 16 x 7 (40.6 cm x 17.8 cm) Ultra Silver Metallic cast aluminum wheels, (DL6) outside power-adjustable, body-color, remote, manual-folding mirrors, (9B7) spotter mirror, (VT5) body-color rear bumper, (BW4) chrome beltline moldings and (D75) body-color door handles, DIFFERENTIAL, AUTOMATIC LOCKING REAR, TRAILERING PACKAGE, HEAVY-DUTY includes trailer hitch and 7-pin connector, TRANSMISSION, 8-SPEED AUTOMATIC (STD), AUDIO SYSTEM, CHEVROLET INFOTAINMENT 3 SYSTEM 7 diagonal color touchscreen, AM/FM stereo. Additional features for compatible phones include: Bluetooth audio streaming for 2 active devices, voice command pass-through to phone, Apple CarPlay and Android Auto capable (STD), ENGINE, 3.6L DI DOHC V6 VVT (308 hp [230.0 kW] @ 6800 rpm, 275 lb-ft of torque [373 N-m] @ 4000 rpm) (STD). VEHICLE REVIEWS Great Gas Mileage: 24 MPG Hwy. WHO WE ARE Chevrolet Buick GMC of Fairbanks sells new, certified pre-owned and used cars, trucks and SUVs in Fairbanks, Alaska. We offer financing options and incentives for all North Star Borough Chevrolet, Buick and GMC customers. Our inventory includes the popular Chevy Malibu Plus tax, title and license. Prices include $200 dealer doc fee. See dealer for Stock Numbers. Price contains all applicable dealer incentives and non-limited factory rebates. You may qualify for additional rebates; see dealer for details. FUEL EFFICIENT 24 MPG Hwy/17 MPG City! 4WD Work Truck trim, CRUSH exterior and JET BLACK / DARK ASH interior. Tow Hitch, 4x4, Back-Up Camera, ENGINE, 3.6L DI DOHC V6 VVT, AUDIO SYSTEM, CHEVROLET INFOTAINMENT.. CLICK NOW! KEY FEATURES INCLUDE 4x4, Back-Up Camera. Electronic Stability Control, Bucket Seats, 4-Wheel ABS, 4-Wheel Disc Brakes, Tire Pressure Monitoring System. OPTION PACKAGES WT CONVENIENCE PACKAGE includes (ATG) Remote Keyless Entry, (UTJ) theft-deterrent system, (K34) electronic cruise control and (PPA) EZ-Lift tailgate, WORK TRUCK APPEARANCE PACKAGE includes (RS1) 16 x 7 (40.6 cm x 17.8 cm) Ultra Silver Metallic cast aluminum wheels, (DL6) outside power-adjustable, body-color, remote, manual-folding mirrors, (9B7) spotter mirror, (VT5) body-color rear bumper, (BW4) chrome beltline moldings and (D75) body-color door handles, DIFFERENTIAL, AUTOMATIC LOCKING REAR, TRAILERING PACKAGE, HEAVY-DUTY includes trailer hitch and 7-pin connector, TRANSMISSION, 8-SPEED AUTOMATIC (STD), AUDIO SYSTEM, CHEVROLET INFOTAINMENT 3 SYSTEM 7 diagonal color touchscreen, AM/FM stereo. Additional features for compatible phones include: Bluetooth audio streaming for 2 active devices, voice command pass-through to phone, Apple CarPlay and Android Auto capable (STD), ENGINE, 3.6L DI DOHC V6 VVT (308 hp [230.0 kW] @ 6800 rpm, 275 lb-ft of torque [373 N-m] @ 4000 rpm) (STD). EXPERTS REPORT Great Gas Mileage: 24 MPG Hwy. 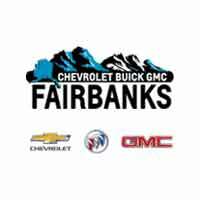 MORE ABOUT US Chevrolet Buick GMC of Fairbanks sells new, certified pre-owned and used cars, trucks and SUVs in Fairbanks, Alaska. We offer financing options and incentives for all North Star Borough Chevrolet, Buick and GMC customers. Our inventory includes the popular Chevy Malibu Plus tax, title and license. Prices include $200 dealer doc fee. See dealer for Stock Numbers. Price contains all applicable dealer incentives and non-limited factory rebates. You may qualify for additional rebates; see dealer for details. Heated Leather Seats, Back-Up Camera, 4x4, Hitch, WiFi Hotspot, Onboard Communications System, Satellite Radio. EPA 24 MPG Hwy/17 MPG City! BLACK exterior and JET BLACK LEATHER APPOINTED FRONT SEATS interior, 4WD LT trim SEE MORE! KEY FEATURES INCLUDE 4x4, Back-Up Camera, Satellite Radio, Onboard Communications System, WiFi Hotspot. Keyless Entry, Steering Wheel Controls, Electronic Stability Control, Bucket Seats, 4-Wheel ABS. OPTION PACKAGES REDLINE SPECIAL EDITION includes Black bowtie, Black grille, (CGN) Spray-on bedliner, (RSZ) 18 aluminum wheel, (RVP) Assist steps, Black, 3 round, Off-road step bars, LPO, (UGA) Red Recovery Hooks, (ZQ9) Exterior Trim, Black Out Appearance Package and (BW5) Black beltline moldings, JET BLACK, LEATHER-APPOINTED SEAT TRIM, REDLINE LUXURY SPECIAL EDITION PACKAGE includes (AAQ) 4-way power front passenger seat adjuster, (AL9) power driver lumbar control, (AT9) power front passenger lumbar control, (KA1) heated driver and front passenger seats, (C68) single-zone automatic climate control, (DD8) inside rearview auto-dimming mirror and (T3C) projector-type headlamps, LT CONVENIENCE PACKAGE includes (C49) rear window defogger, (A28) rear-sliding window, (T3U) front fog lamps, (BTV) Remote vehicle starter system, (PPA) EZ-Lift tailgate and (DG6) outside heated power-adjustable, body-color, manual-folding mirrors, SEATS, HEATED DRIVER AND FRONT PASSENGER Includes (AL9) power driver lumbar control, (AT9) power front passenger lumbar control, (UVD) heated steering wheel and (AAQ) 4-way power front passenger seat adjuster. DIFFERENTIAL, AUTOMATIC LOCKING REAR, TRAILERING PACKAGE, HEAVY-DUTY includes trailer hitch and 7-pin connector, LPO, ALL-WEATHER FLOOR LINER includes Chevrolet logo Plus tax, title and license. Prices include $200 dealer doc fee. See dealer for Stock Numbers. Price contains all applicable dealer incentives and non-limited factory rebates. You may qualify for additional rebates; see dealer for details. Heated Seats, Satellite Radio, Back-Up Camera, Onboard Communications System, WiFi Hotspot, Remote Engine Start, 4x4, Bed Liner. 4WD Z71 trim, PACIFIC BLUE METALLIC exterior and JET BLACK interior. EPA 24 MPG Hwy/17 MPG City! READ MORE! KEY FEATURES INCLUDE 4x4, Heated Driver Seat, Back-Up Camera, Satellite Radio, Onboard Communications System, Remote Engine Start, WiFi Hotspot, Heated Seats. Keyless Entry, Steering Wheel Controls, Heated Mirrors, Electronic Stability Control, Bucket Seats. OPTION PACKAGES LPO, 17 (43.2 CM) BLACK-PAINTED WHEELS (dealer-installed), LPO, 265/65R17, GOODYEAR WRANGLER DURATRAC, ALL-TERRAIN TIRES (dealer-installed), BEDLINER, SPRAY-ON, BLACK WITH CHEVROLET LOGO, TRAILERING PACKAGE, HEAVY-DUTY includes trailer hitch and 7-pin connector, LPO, ALL-WEATHER FLOOR LINER includes Chevrolet logo, (dealer-installed), TRANSMISSION, 8-SPEED AUTOMATIC (STD), AUDIO SYSTEM, CHEVROLET INFOTAINMENT 3 PLUS SYSTEM 8 diagonal HD color touchscreen, AM/FM stereo, Bluetooth audio streaming for 2 active devices, Apple CarPlay and Android Auto capable, enhanced voice recognition, in-vehicle apps, cloud connected personalization for select infotainment and vehicle settings. Subscription required for enhanced and connected services after trial period (STD), ENGINE, 3.6L DI DOHC V6 VVT (308 hp [230.0 kW] @ 6800 rpm, 275 lb-ft of torque [373 N-m] @ 4000 rpm) (STD). VEHICLE REVIEWS Great Gas Mileage: 24 MPG Hwy. MORE ABOUT US Chevrolet Buick GMC of Fairbanks sells new, certified pre-owned and used cars, trucks and SUVs in Fairbanks, Alaska. We offer financing options and incentives for all North Star Borough Chevrolet, Buick and GMC customers. Our inventory includes the popular Chevy Malibu Plus tax, title and license. Prices include $200 dealer doc fee. See dealer for Stock Numbers. Price contains all applicable dealer incentives and non-limited factory rebates. You may qualify for additional rebates; see dealer for details. Heated Seats, Satellite Radio, Back-Up Camera, Onboard Communications System, WiFi Hotspot, Remote Engine Start, 4x4. CAJUN RED TINTCOAT exterior and JET BLACK interior, 4WD Z71 trim. FUEL EFFICIENT 24 MPG Hwy/17 MPG City! CLICK NOW! KEY FEATURES INCLUDE 4x4, Heated Driver Seat, Back-Up Camera, Satellite Radio, Onboard Communications System, Aluminum Wheels, Remote Engine Start, WiFi Hotspot, Heated Seats Keyless Entry, Steering Wheel Controls, Electronic Stability Control, Heated Mirrors, Bucket Seats. OPTION PACKAGES COLORADO TRAIL RUNNER SPECIAL EDITION includes CHEVROLET lettered grille, rear Black bowtie, (QJ2) 31 Goodyear Wrangler DuraTrac tires, (62G) Accent Lighting, LPO, (S6L) Off-Road rocker protection, LPO, (SIQ) front skid plate, LPO and (SIR) mid skid plate, LPO, BEDLINER, SPRAY-ON, BLACK WITH CHEVROLET LOGO, TRAILERING PACKAGE, HEAVY-DUTY includes trailer hitch and 7-pin connector, LPO, ALL-WEATHER FLOOR LINER includes Chevrolet logo, TRANSMISSION, 8-SPEED AUTOMATIC (STD), AUDIO SYSTEM, CHEVROLET INFOTAINMENT 3 PLUS SYSTEM 8 diagonal HD color touchscreen, AM/FM stereo, Bluetooth audio streaming for 2 active devices, Apple CarPlay and Android Auto capable, enhanced voice recognition, in-vehicle apps, cloud connected personalization for select infotainment and vehicle settings. Subscription required for enhanced and connected services after trial period (STD), ENGINE, 3.6L DI DOHC V6 VVT (308 hp [230.0 kW] @ 6800 rpm, 275 lb-ft of torque [373 N-m] @ 4000 rpm) (STD). BUY FROM AN AWARD WINNING DEALER Chevrolet Buick GMC of Fairbanks sells new, certified pre-owned and used cars, trucks and SUVs in Fairbanks, Alaska. We offer financing options and incentives for all North Star Borough Chevrolet Plus tax, title and license. Prices include $200 dealer doc fee. See dealer for Stock Numbers. Price contains all applicable dealer incentives and non-limited factory rebates. You may qualify for additional rebates; see dealer for details. With so much on offer, there’s truly a new Chevrolet Colorado for just about everyone. Compare the Chevrolet Colorado to the Silverado, and then contact us to get started.